Nowadays, a successful business does not just offer products and services to its customers, but it also provides a comprehensive solution for their needs and desires. The world "solution" means solving a problem or finding a way out of a certain situation. Show your customers that with you, they can find professional and adequate solutions to their needs and desires by adding the .solutions to your Internet name. 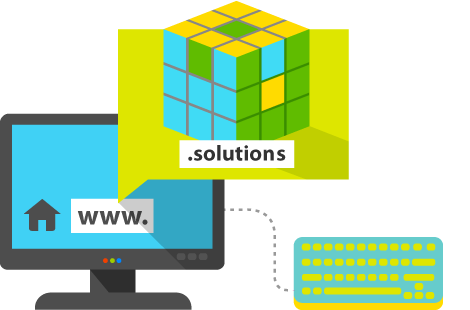 The .solutions domain is also suitable for blogs and info websites that offer tips and solutions for specific topics.